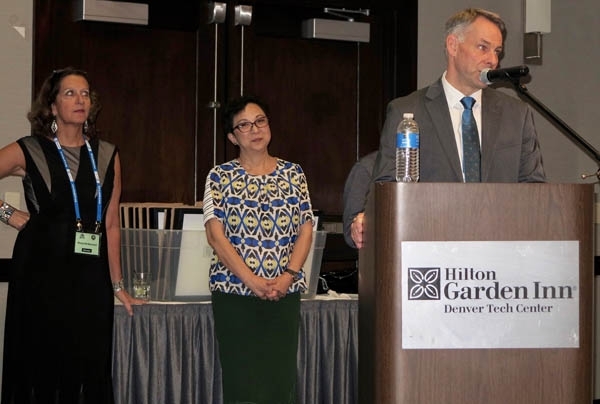 For the first time in their three-year history, the Rocky Mountain International HiFi Press Awards (RIHPA) came into their own. Well-organized and presented, with winners that, in almost all instances, made sense, these were awards of substance, and worthy of your attention. The RIHPA were first conceived by Ingo Schulz, publisher of Germany's Fidelity magazine, who discussed the concept with RMAF's Marjorie Baumert. Baumert then suggested they speak (and subsequently team up) with Roy Gregory, European editor of TheAudioBeat.com and founding editor of Hi-Fi Plus, to move the awards forward. Fifteen publications were invited to participate, with the United States, Hong Kong (China), Greece, Australia, Germany, UK, Poland, Mexico, Norway, Slovenia, and Sweden represented. Although the US somewhat dominated, with four publications on boardTheAudioBeat.com, Head-Fi.org, Innovation & Tech Today, and Stereophilethe international reach of many of those publications provided balance. There were 31 categories, which included both equipment and music. Each publication was invited to submit five nominees for each category. From these, the top five in each category were advanced to the final round, where publications selected one as their favorite. Cables, racks and supports, AC distributors and conditioners, system and software enhancers, set-up aids and tools, innovation, value for money, and lifetime achievement were all honored with awards. It was up to each publication to determine the method for choosing its nominees and award winners. For Stereophile, Editor John Atkinson was guided by our reviewers' choices for our own forthcoming Product of the Year awards (to appear in Stereophile's December issue). 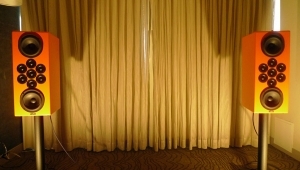 In the case of TheAudioBeat, choices were guided by discussions between editors Gregory and Marc Mickelson, in consultation with reviewers who specialize in specific categories. Most notable, from my perspective, were several stunning wins. 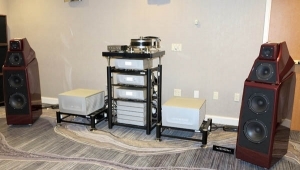 The first, which addressed loudspeakers at both ends of the price spectrum, is that DeVore Fidelity and Wilson Audio both won awards for their products. 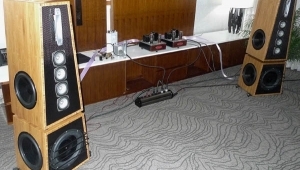 DeVore's Orangutan 0/93 snared "Floor-Standing Speakers under 15,000 EUR. 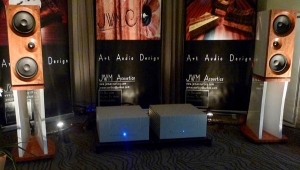 Wilson Audio's Yvette triumphed in the "Over 15,000 EUR category, and Dave Wilson's magnum opus, the WAMM Master Chronosonic, came out on top in the "Over 100,000 EUR category. That Wilson swept two of the three loudspeaker categories speaks volumes. 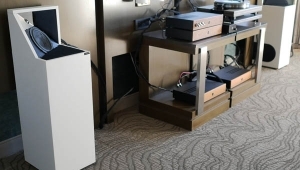 Notable as well is that a product that has been around for more than a year, the VTL Siegfried Series II monoblock amplifiers, finally achieved due recognition. 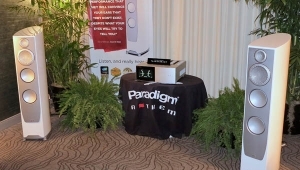 In addition, any number of products favored by Stereophile reviewers received nominations and awards. The list is a veritable international Who's Who of the high end. There are several factors about these awards to keep in mind. The first is that some products that are little known or unavailable in the United States have wide circulation in other parts of the world. 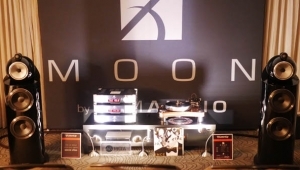 This accounts for the French-made Neodio Origine S2's win over products from Audionet, dCS, Marantz, and PS Audio for "CD Player/Transport," as well as for several other nominations and wins. Equally as important, publications were asked to consider the performance vs price ratio when granting their awards. This could explain why, in the DAC category, the Chord Dave ($10,588) won over the dCS Vivaldi ($35,990). When all is said and done, these were well-considered awards. If you look at the RIHPA 2017 nominees and winners, and then at Stereophile's choices from the last few years (including those to be announced in less than a month), you will gain a very clear understanding of what products are worthy of consideration in your quest for audio nirvana. Follow the link in the first paragraph. On that page, in addition to the list of winners, you'll find the link to the page with nominees. 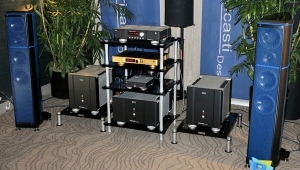 It's biased comments like this that give Stereophile a bad name. 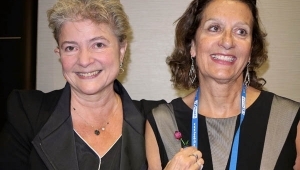 "Equally as important, publications were asked to consider the performance vs price ratio when granting their awards. This could explain why, in the DAC category, the Chord Dave ($10,588) won over the dCS Vivaldi ($35,990)." Wow, what an ignorant speculative comment. Having auditioned both the Chord DAVE and the dCS Vivaldi stack which included the master clock and upsampler, I found the DAVE to be easily the smoother and more resolving DAC and so I bought the DAVE. You should listen to both DACs to see for yourself how they perform before you make such a ridiculous comment. It's a good thing we didn't allow you to make the decision as you obviously listen only with your pocket book. that I have listened to the Chord Dave, albeit not in my reference system? Regardless, if you enjoy it more than the Vivaldi DAC solo or the four-stack Vivaldi system, more enjoyment to you. is this how you make your comparative assessments? Based on listening to 2 components while connected to different systems? 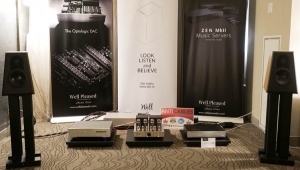 As a matter of background, until recently, I had owned a dCS Rossini and after continuously pining for my vinyl over my digital tracks, I eventually decided to upgrade my DAC and so I approached my dCS dealer about upgrading to the Vivaldi and indeed, the stack was better then the solo DAC. I had never even heard of the DAVE but after a colleague suggested I give it a listen, I was able to borrow one from a different dealer. 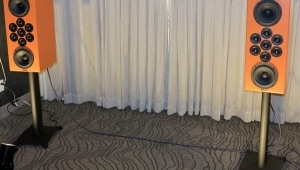 To my dCS' dealer's credit, he allowed me to bring in the DAVE so we could do an A/B comparison on his system and with all other components kept constant, I was dumbfounded to find that the DAVE excelled in every metric that mattered to me. 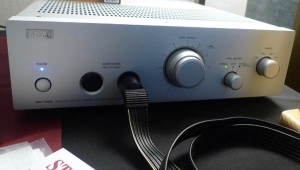 As I researched this DAC further, it was interesting to read that John Atkinson measured both DACs and DAVE's measurements were superior, which helped explain what I was hearing. 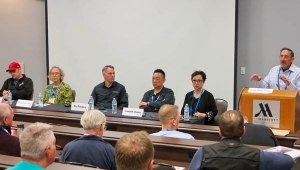 Look, if an international panel of journalists is going to vote a certain DAC as "Best DAC," this is not the time for you to infuse your own condescending judgement like you have since you've never really properly compared the two. 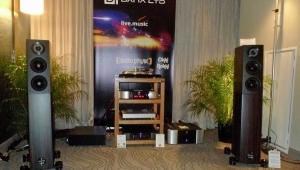 Out of curiosity, I decided to check which DAC was awarded "Best DAC" at RMAF last year and guess which DAC won? Chord DAVE. Two years running, surely it must be a coincidence. 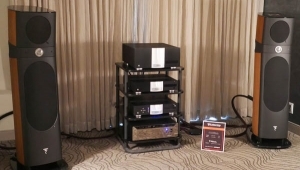 As to performance vs price, this same panel had no trouble awarding a $65,000 Soulution 511 "Best Stereo Amp" over its less expensive co-nominees. I smell a conspiracy here.